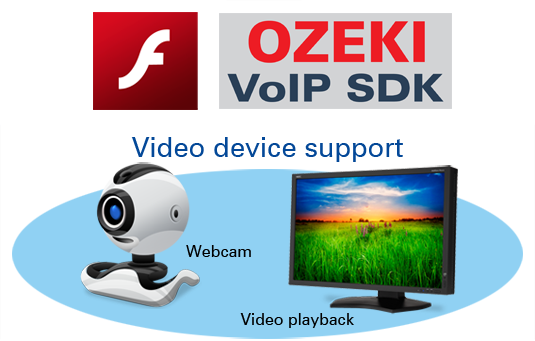 Ozeki VoIP SIP SDK makes it possible to add a webphone to a webpage. 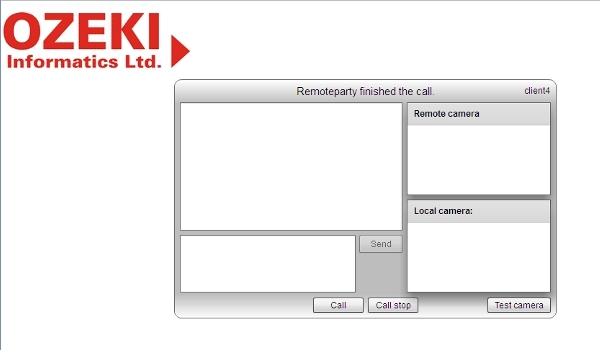 In this article you will learn how to provide Flash microphone and camera access in webphones by Ozeki VoIP SIP SDK. After reading through this page you will be fully familiar with all the essential terms concerning Flash microphone and camera handling and what you will need for creating your own solution using Ozeki VoIP SIP SDK. The program you can download here was written in C# (server-side) and Adobe Flash (client-side). If you want to use the program you will need to have Visual Studio 2010 and Adobe Flash Builder installed on your computer. When you have built a Flash webphone, you can easily put it on your website by placing some scripts and extra code into the .html code. Figure 2 shows a basic example web page with a company logo and a webphone for video phoning. Code 3 shows the Flash embedding part of the .html code. First there is the div definition with the flashContent style. This div will be replaced with the Flash content if possible. The Flash object is defined after the replaceable content definition. There are some basic settings like background and displaying quality. You can also set some special parameters like allowing full screen displaying etc. You can see that the Internet Explorer needs some special handler instructions, IE6 does not have the support for Adobe Flash Player version 10.2.0 automatically. You can see how you can embed a simple webphone into any web page. You can use the above seen codes without any modification, or you can customize them according to your taste, but it is sure that you can use a webphone easily from your site with these methods.